Ride sharing apps have continued to grow in popularity with millions of users worldwide. South Florida is no exception. With millions of visitors coming to the area each year, ridesharing has become the best way for both tourists and locals to get around. These drivers, however, are no safer than any other driver, which means the risk of being involved in an Uber or Lyft accident is just as high as it could be if you were driving. Determining liability after an Uber or Lyft accident can be difficult, whether you were a passenger or the other driver. If you have been involved in an accident with an Uber or Lyft driver, contact the police immediately. A formal report can provide details that may fade from your own memory over time. Only give the police factual statements and do not lay blame on anyone, even if you think the Uber or Lyft driver was at fault. Take notes about the accident, such as the intersection, time of day, road conditions, etc. The Uber or Lyft driver will need to contact their company immediately. You should avoid signing any documents you do not understand, or speaking with the driver or a company representative. As soon as possible after the accident, contact Justin Weinstein. He can review your claim and determine if you are eligible to file a claim against the driver, their insurer, the company’s insurer, and any other liable parties. Proving fault can be very tricky in this situation. If another driver causes the accident, they may be held liable for the crash and a claim may be made against their insurer. If you were the passenger of an at-fault Uber or Lyft driver, you are not at fault and should be able to recover damages. However, if you were involved with an off-duty Uber or Lyft driver, it would be the driver rather than the company who would be held responsible. 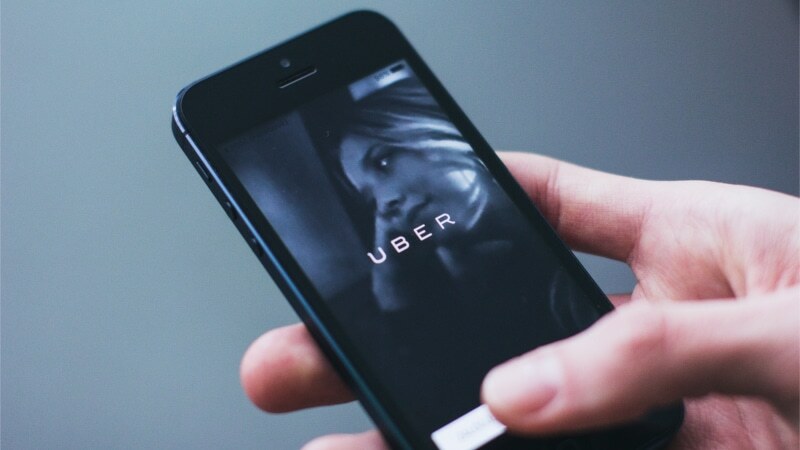 When the Uber app is turned OFF: In these instances, only the driver’s personal auto insurance can be used. As they are not technically on the job, Uber cannot be held responsible for any damage caused in an accident. When the Uber app is turned ON and the driver is available: Both the driver’s personal insurance and Uber’s contingent liability coverage can be accessed in the case of a crash, which includes up to $50,000 to $100,000 for injuries, and $25,000 for property damage. When the Uber app is turned ON and the driver is on a trip: The company’s commercial insurance coverage is provided, including up to $1 million in third party liability and $1 million in uninsured or underinsured motorist coverage. 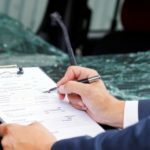 Each of these situations can complicate the insurance claims process, which is why it is essential to contact a car accident attorney. Justin Weinstein can help you determine who to file a claim against and the amount of damages to which you may be entitled. If you were involved in an Uber or Lyft accident, fill out our contact form for a free case evaluation. Both Uber and Lyft offer coverage up to $1 million in an accident, however, that is only when drivers have a passenger in the car or are headed to pick up a rider. When the driver is waiting for a fare, the coverage drops to $100,000 per accident. Uber and Lyft also encourage drivers to have personal vehicle insurance. In some cases, the at-fault party may not have insurance or enough insurance to cover damages. 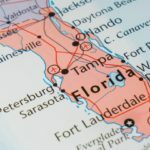 As Florida is a no-fault state, drivers are required to carry personal injury protection (PIP) benefits in their insurance policy. When an insured driver is involved in an accident, PIP will cover medical expenses and other, specific, non-medical related costs. In order to qualify for PIP benefits, you must seek medical treatment within 14 days of the accident. If you were involved in an Uber or Lyft accident and the driver at fault is uninsured or underinsured, you may be able to qualify for PIP benefits under your own insurance. A knowledgeable attorney can help guide you through the claims process so that you may obtain the compensation you deserve for medical expenses, lost wages, mental anguish, and more. For a free consultation with Uber and Lyft accident attorney Justin Weinstein, fill out our contact form. Along with helping you through the insurance claims process, your lawyer can obtain important documents, such as a police report, medical records, phone records to determine if the driver was distracted at the time of the crash, and more. Your attorney can thoroughly review the details of your claim and build a strong claim in your favor. After an accident involving an Uber or Lyft driver, your priority should be recovering from this traumatic experience. Let personal injury lawyer Justin Weinstein work on your behalf to fight for the compensation you deserve. What is an Average Settlement for a Car Accident Back and Neck Injury? 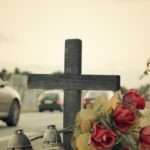 What Should I Do after a Loved One Dies in a Car Crash? Are Florida Car Accident Reports Public Record?